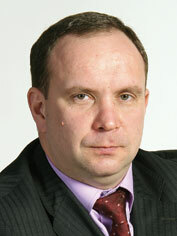 Sokolovskyi and Partners Law Firm has been working on the Ukrainian market since 1999. Among the main practices of Sokolovskyi and Partners Law Firm are taxation and dealing with problem assets. Sokolovskyi and Partners has a strong team of tax attorneys at law that can solve tax problems of the client at every stage: from tax planning to protection of businessmen rights during checks of controlling and law-enforcement bodies. Clients of Sokolovskyi and Partners get the most optimal plan for dealing with problem assets as well as legal assistance in carrying out the necessary procedures - optimization of accounts payable and accounts receivable, debt recovery in a judicial proceeding, liquidation (bankruptcy) of enterprises, pre-judicial recovery. The attorneys at law of Sokolovskyi and Partners has been providing legal assistance in customs law, criminal defence in the area of economic crimes, corporate law, intellectual and employment law, M&A, due diligence. According to the results of Ukrainian contest ‘Legal Award’ conducted by the Ukrainian Yuridicheskaya Praktika newspaper our company has been among the top five law firms in Ukraine in the field of taxation five times running (2010-2014). 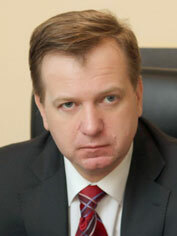 Moreover, Sokolovskyi and Partners has become one of the top five law firms of the year dealing with problem assets of enterprises in 2012, 2013. Sokolovskyi and Partners was in the global rating of the Ukrainian Yuridicheskaya Praktika newspaper ‘50 Leading Law Firms of Ukraine’ from 2006 to 2012. Legal guide the Legal 500 Europe, Middle East & Africa 2014, one of the most authoritative researches of legal markets in the world, has recommended Sokolovskyi and Partners Law Firm as the second tier firm in the field of taxation.